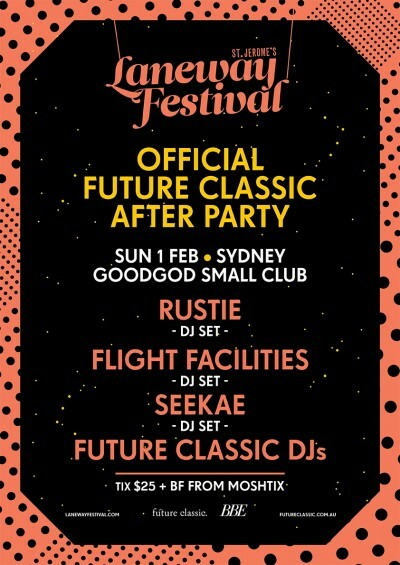 Future Classic and Laneway Festival are seemingly refusing to admit the next day is Monday with a late night after party, and with an incredible festival line up who wouldn’t want to continue the party? This Sunday, February 1, FC x Laneway are bringing Glaswegian Rustie, airwave connoisseurs Flight Facilities and some of the most innovate beat makers Seekae fresh from their Laneway Festival sets and straight into the Small Club. Who knows what festival friends they are going to bring with them? 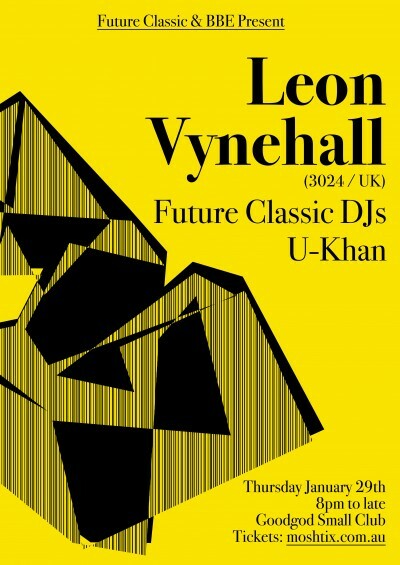 Fresh from his Sydney Festival appearance, upcoming Brighton producer Leon Vynehall will be gracing Goodgod Small Club this Thursday, presented by our favourite party people Future Classic and BBE. Inspired by the hip hop and funk tapes his mum played in the car, Vynehall’s recent EP ‘Music For the Uninvited’ out on Martyn’s 3024 label is one of the most compelling and eclectic house records of 2014, starting with a bold and beatless , mini-symphony to the analogue-soaked downtempo ending, it’s an emotionally transverse dance experience. FC@GG – FUTURE CLASSIC TAKEOVER Ft. BAIO! 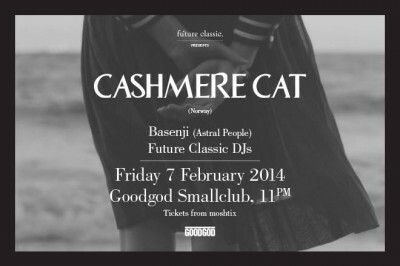 The Future Classic DJs are coming back to Goodgod for the 4th instalment of FC@GG! This will be the first gig of 2014 at GG so come along to welcome the shiny new year. 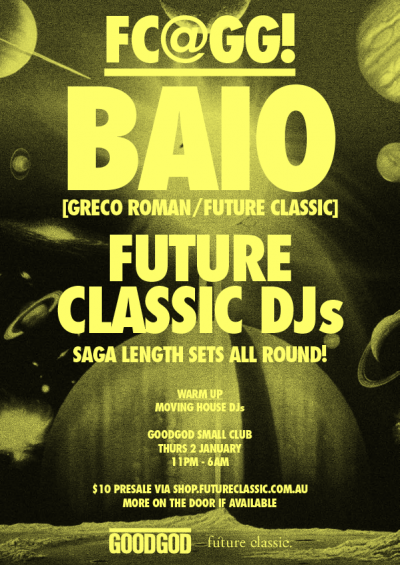 For the first ever time, FC@GG is gonna host a very special international guest – Baio, taking some time out from his tour with Vampire Weekend to fill the Danceteria with summer vibes under his dance music alter ego! And of course, the unstoppable Future Classic DJs, hitting the spot where they can get a little darker, push the smoke button all night and stretch out with a proper extended set. It’s been 6 months since they last did this and it was a huge night! Much much time to fill their swag full of fresh tunes to play for you. To keep things in the family Future Classic good mates Moving House DJs will be on warm up duties. There is also the possibility that there will be some extra special international friends around and in town for partying with us too….Come through for another night of incomparable vibes and carrying the FC@GG legacy of full houses and 6am finishes to the new year. Grab a ticket early here!